Don’t want to mow? Leave it to Miimo! Honda’s robotic mower, Miimo, does the work – so you have more time to play. Honda’s Miimo robotic lawn mower uses a microcomputer, timer, sensors, and a boundary wire to provide automated, precise, unattended grass cutting in a league of its own. Mower Medic, LLC makes your Miimo experience easy. We will visit your yard for a pre-site consultation, answer your questions and show you how Miimo can make your lawn care easier. 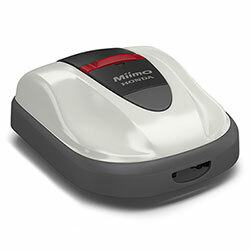 Mower Medic, LLC will also install and program your Miimo Robotic mower. And if you need support and help with maintenance, count on us to assist you. Stop by Mower Medic, LLC today to learn more about how Miimo can work in your yard. Try our Miimo simulator to learn which Miimo model is best for your yard. Just enter your address, trace your lawn, and let a virtual Miimo get to work! See how Miimo works in your yard. Special Financing: 0% - 36 months† on qualifying Miimo Product and Service purchases of $1,500 or more when you use the Honda Power Equipment Consumer Credit Card.